Backstab: Soros Funded Top Republican Leaders Opposing Trump in 2016 5 out of 5 based on 5 ratings. 5 user reviews. A number of top Republican officials, including Paul Ryan, Marco Rubio, Jeb Bush, John McCain, John Kasich, and Lindsey Graham, received money from a hedge fund, founded by George Soros, in 2016. Top Republican officials, who opposed Donald Trump in 2016 during his Presidential campaign and continue to fight against him now that he is President of the US, received tens of thousands of dollars from employees of a hedge fund, founded by billionaire and mega-donor of the US Democratic Party, George Soros, donation’s records, compiled by the Center for Responsive Politics, show. The list of recipients of the money includes such dominant names, as Paul Ryan, Marco Rubio, Jeb Bush, John McCain, John Kasich, and Lindsey Graham. In total, during just this past cycle, the Soros-founded company poured $36,800 into the coffers of these members of the Republican Party, without taking into account ‘independent-expenditure only committees’, also known as the Super PACs, which got tens of thousands of dollars more. House Speaker Paul Ryan, who repeatedly attempted to undermine Trump over the course of the election, was the biggest recipient of this money, connected with Soros. According to the records available online, Ryan received $10,800 from the Soros firm’s workers. The Breitbart news website asked Ryan’s chief spokesman, Brendan Buck, about the donations from the Soros firm’s employees, however, did not receive any reply. But Ryan was not the only anti-Trump Republican, who received money from employees of the Soros Fund Management in 2016. So, Senator Lindsey Graham, a failed presidential candidate, got $3,500 from the firm’s employees, while Senator Marco Rubio, Ohio Gov. John Kasich and former Florida Gov. Jeb Bush, who also are failed presidential candidates from the Republican Party, became $2,700 richer, receiving money from employees of the Soros firm. Anti-Trump Senator John McCain got $2,500 from an executive at the Soros firm, while John Boehner, who resigned amid a coup from conservatives, received $2,600. Now former Rep. Joe Heck was raked in $2,500 from an executive at the Soros Fund Management, while Rep. Carlos Curbelo, who voted for a third-party candidate, got $1,000. Rep. Cathy McMorris Rodgers, who is the House GOP conference chairwoman, received $1,000 from an official from the Soros Fund Management. However, as Breitbart noted, there were several Republicans, who received money from the Soros Fund Management, but supported Trump: Sen. Ron Johnson, Sen. Chuck Grassley, Rep. Ed Royce, and Rep. Dan Donovan. Too bad Satan doesn’t does have to file campaign finance disclosure reports. Is there any doubt that George would figure prominently on them. 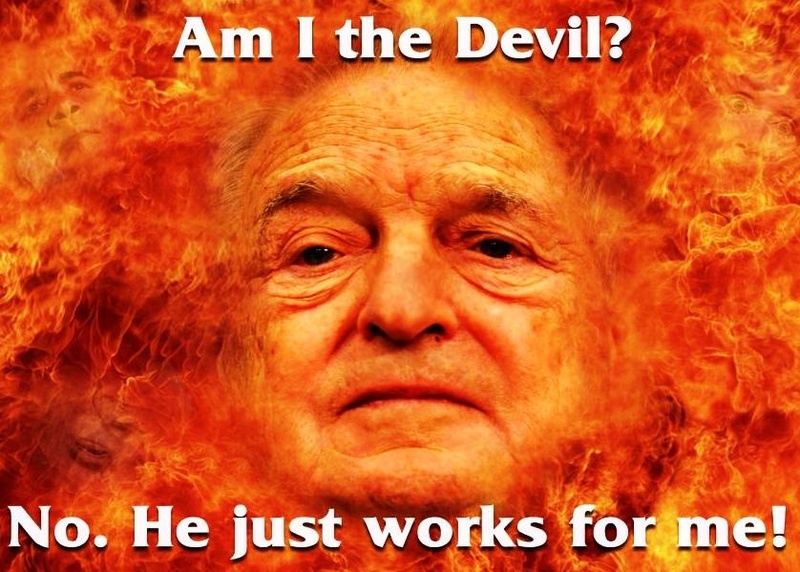 Soros supports politicians who will support and further globalist agenda.